Well, we’ve just concluded another year and it’s that time of year when people spell out their new years resolutions. You know, the typical things like the gym memberships, lose weight, quit smoking, reduce debt, go back to church, read more, travel more, eat out less, eat out more, spend more time with family, etc. While most lay out their personal resolutions, each year we spell out resolutions we think would be great for our local SW Florida real estate market. Some may be a repeat of last year’s resolutions. 2. Lee County would attract outside business to relocate to SW Florida-We know the county and Chamber is working hard on this. 6. Election-November can’t get here soon enough. Later this year we’ll know who our new president will be and what direction Congress will take. Voters sent a strong message last election, but Congress is still too evenly divided for politicians to get that people want real change. 10. Certainty in Oil Market-Uncertainty leads to rising oil prices which leads to loss of disposable income. I think all Americans could use a little more disposable income, and a better energy policy would help. A little luck with agitators like Iran would as well. 11. Places like banks, airlines, and cell phone companies will stop adding add-on fees simply to increase bottom line- We are in a price sensitive market. When will these companies learn? Someone in these companies marketing departments should warn the CEOs that these fees are unpopular and go over about as well as an occupy movement in the middle of a city. 12. Speaking of Occupy Movements-Maybe this will be the year they actually come up with a message, or decide to get back to work. There’s nothing worse than watching interviews with attendees who don’t know why they’re camping out all night or what they realistically would like, other than a free handout. They may not all come true, but wouldn’t it be nice. 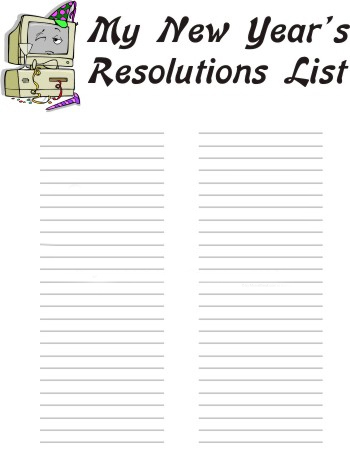 We’d love to hear your new years resolutions. Posted in Southwest Florida Real Estate.Tagged FHA financing.